CNN’s well-documented and ongoing fake news crisis revealed itself again Wednesday night when anchor Don Lemon misinformed his viewers with the false claim Fox News had not reported on the resignation of Hope Hicks. Prior to Lemon’s wildly false claim, Fox had already covered the resignation of the White House communications director on at least three occasions. Nevertheless, the far-left Lemon closed a panel discussion on his basement-rated program with this fake news. I was sitting in my office and was watching all the news channels, right — Trump TV or state-run TV, they’re not even reporting this. So, Trump supporters, they don’t even know about these stories, it doesn’t even register, that’s the amazing thing. What is so remarkable about this statement is not just that it is not true, but that Lemon felt comfortable being so irresponsible and reckless while speaking live on the air. He is hurling a public accusation based only on his own experience while channel surfing. He has no idea what he missed, but rather than have a staffer double check to ensure his perception is correct, he feels perfectly safe saying something on the CNN air that might not be true. This moment is indicative of CNN’s collapse, of how the last-place cable channel no longer has or enforces any kind of editorial standards. Last month, while Fox News and MSNBC averaged 2.8 million and 1.8 million primetime viewers, respectively, CNN could not even eke out even a million viewers. Moreover, when compared to last year, while MSNBC grew its primetime audience and Fox only lost -3 percent of viewers, CNN lost a breathtaking -16 percent of its primetime viewers and -19 percent of its total day viewers. Additionally, if you look at when the far-left CNN is able to create headlines, it is only when the anti-Trump network’s gaffes, lies, fake news, hysteria, and train wrecks occur — like the train wreck that was that anti-gun town hall. Without those train wrecks, had CNN not devolved into a national laughingstock, no one would even be talking about CNN. And if CNN is willing to be so reckless and dishonest about little things like this, imagine the lengths CNN will go to as a means to deceive or cover up big, important things. 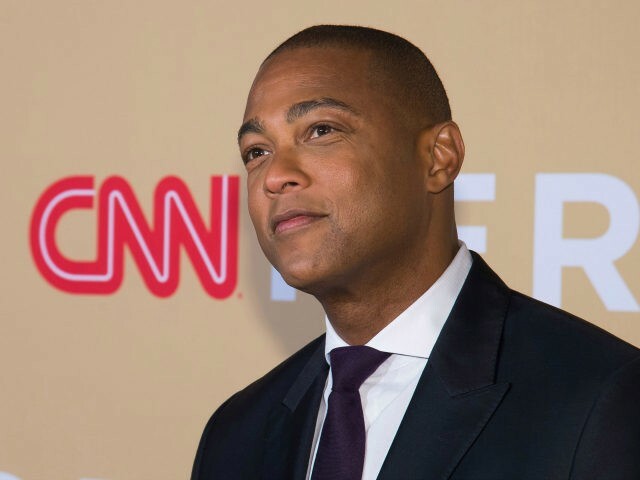 And so, for the first time since the last time he was caught spreading fake news, the otherwise non-entity that is Don Lemon has created headlines — but only ones that again prove that he and his disgraced employer are both discredited jokes.